For Test and Measurement courses. Also appropriate as a supplement in an Educational Psychology or Teaching Methods course where assessment is given more than cursory treatment. 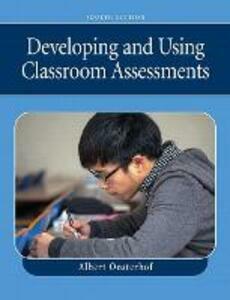 This brief, inexpensive text focuses on how to write, construct, and use assessments in the classroom. It continues to take a balanced approach to assessment, involving both traditional and innovative techniques. It includes the development and use of written tests, informal assessments, portfolios, and performance assessments. This balanced approach to assessment is what prospective teachers need when they get into the classroom.